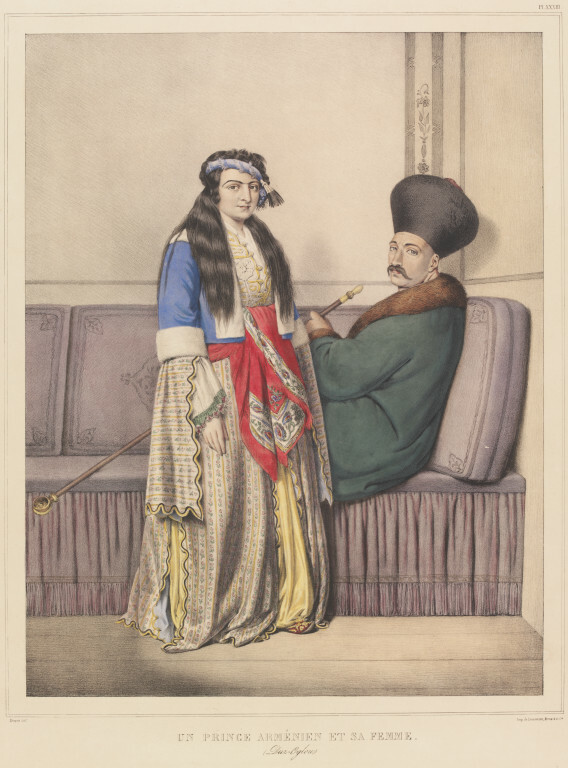 Lithograph, coloured by hand, depicting an Armenian prince and his wife. Lettered with title, numbered with plate number, and blind stamped with the artist's monogram encircled. Lettered 'Dupré delt. Imp.de Lemercier, Bernard et Cie'. 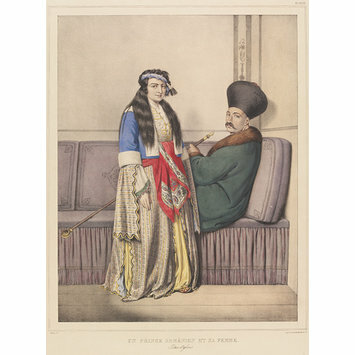 Hand-coloured lithograph by Louis Dupré entitled 'Un Prince Arménien Et Sa Femme', from a volume by Dupré entitled 'Voyage à Athènes et à Constantinople'. Published in Paris, 1825.